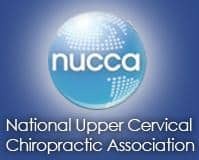 NUCCA (an acronym for the National Upper Cervical Chiropractic Association) is a gentle, non-manipulative form of chiropractic. NUCCA is a specific protocol designed to correct misalignments of the spine called subluxations. Correction of spinal subluxations restores body balance to the entire spinal column. Because the spinal column houses and protects the central nervous system, that controls and coordinates ALL body functions, proper spinal balance is vital to good health. Improved body balance reduces the physical stress throughout the body and helps relieve pain and tension. This is possible because NUCCA method subtly influences one of the highest control centers over body balance, the area around the brain stem. NUCCA frees the nervous system of interference for optimal communication using the least amount of pressure possible. It allows the body to realign itself and do its own healing. NUCCA is gentle, effective, and non-invasive with no twisting, popping, or cracking. NUCCA chiropractic holds that the brainstem and Atlas vertebra are key to the balance of the entire spine. Once the head and neck are in alignment, the entire spine will follow suit and the nerve messages between your brain and body will travel free and clear without interference. This then allows the innate intelligence and healing abilities of your body to unfold naturally… a truly holistic approach. The upper-cervical adjustment is extremely gentle and precise. We are committed to continuing to fine-tune the adjustment so that the greatest numbers of patients are able to stabilize and enjoy their birthright – good health.